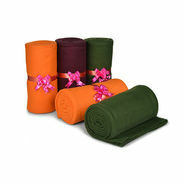 Blankets, Comforters & Quilts: A Comfy Soft Enfold! 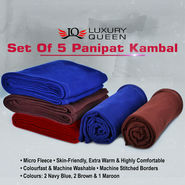 Winter season is almost unbearable if you are planning to spend those chilly wintry nights without a single blanket. 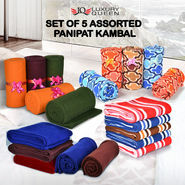 These bedding items not only add comfort to our bed times but also tinge a splash of colors on our bed. 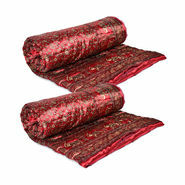 Half of the winter, we use to spread these heavy bedding wrappers on our beds so that it can warm up the bed and make it far comfy. Well it's true that once you are inside the soft and comfy wrapping of these items, you will hardly make your mind to come out. Yes. an irresistible cozy feeling! There is a wide variety of these items available in the market. 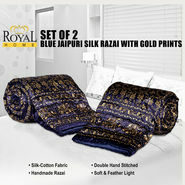 If you are very conscious about your home decor, then also you can find the amazingly designed and best in class swarm of blanket providing the same snugly touch when you embrace them. 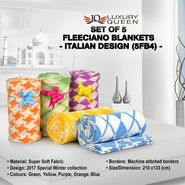 And after owning such blanket, you will surely wait for the bedtime, eagerly and yes, cheerfully! 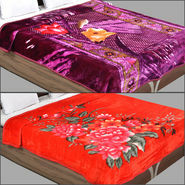 When it comes to high end quilts, they are obtainable in hundreds of colors and designs. 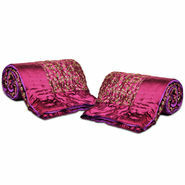 These bedding items are a bit chunky even if you compare them with your blanket. But these are the primary salvo you always need to fight with the freezing temperature of wintry nights. 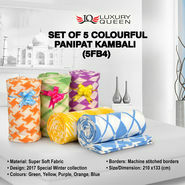 Today, there is a craze of making quilt in home by hiring experts. Two types are generally preferred by people, functional and decorative. Generally decorative ones come small in size so that you can even hang them on the wall to give a spruced up look to your abode. The functional ones are for both decorating your bed and keeping you warm at night. From your little tot to your big belly uncle, this type of quilt is available in various sizes so that everyone can find his or her best matched one. No more shivering nights, only happy you and your sweet Santa dreams under the cozy warmth of blanket and quilt!